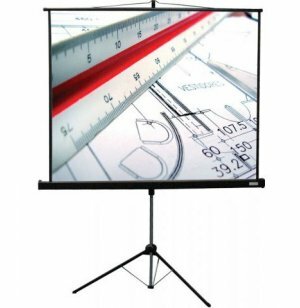 Portable Tripod Projector Screen 50x50"
Feature a flame-retardant, mildew-resistant matte white surface and black border for eay viewing. Sets up quickly, stores and transports easily. Sturdy, stable tripod base-Rugged black metal case. 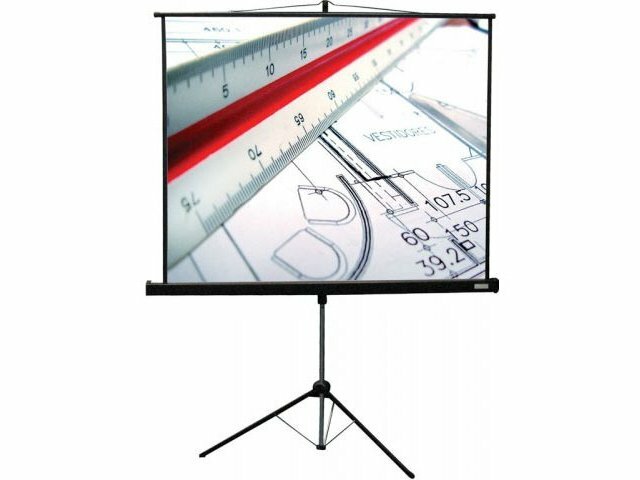 Adds large-screen viewing capability to any conference room or classroom. Screen surface glides smoothly and effortlessy. Built-In Keystone Eliminator ends distortion problems that occur when screen and projector are not on the same plane.